For basketball fans, NBA 2K17 is definitely a game that they don't want to miss. As the latest in the NBA 2K franchise, NBA 2K17 needs tricks big and small that could improve your overall score, expand your ability to discover new items or put you on the path to victory. NBA 2K17, the basketball game set to debut on video game consoles new and old is stuffed full of nuance. In fact, just diving into NBA 2K17 for the first time can be daunting. That’s especially true if you haven't picked up a version of the franchise in years or are new to basketball video games in general. Don’t give up on your MyPlayer or adopted team in MyLeague just yet. Here we will give some basic NBA 2K17 tips that can help improve your experience with Visual Concept’s latest and greatest professional basketball simulation. MyPlayer has always offered you a huge degree of customization, but the last few entries of NBA 2K introduced face scanning so that users could import their facial structure and really make their player more like them. The feature was cool, but it had some issues. NBA 2K17 allows you to scan your face, but you’ll need to do so by downloading the MyNBA2K17 app for your iPhone or Android device. This year’s game drops support for scanning faces with PlayStation Camera or Microsoft’s Kinect sensor. If you’re really looking to get the most out of MyPlayer, don’t hesitate to take advantage of NBA2KMyPlayer. Different character builds there can give you an idea of what kind of player you want to create. Are you trying to create a brick wall that nothing gets past like Shaquille O’Neal? Or, are you trying to create the next Michael Jordan? Look at the different builds on the website to see what might work best for you. That My NBA 2K17 app that you downloaded to your phone is for more than just adding your face to the game. Look around it for opportunities to make some Virtual Coin that you can use to purchase different things in the game. On your MyPlayer’s off days, don’t just hit the practice gym. Look for opportunities to do endorsement deals that will earn you currency to spend on your player. There are things that you’ll definitely want to buy with the currency, and you don’t want to go spending money out of your own pocket if you don’t have to. When you’re playing for the first time or the first time after a break, your skills are going to need some work. To keep yourself from being completely demoralized, go to the Options area and change the Game Difficulty settings under the Settings tab. New for NBA 2K17, you can have granular control of who you want on the court. The new Timeline lets you tell the game exactly what players you want in each position through substitutions. The NBA season – including pre-season – can be long and grueling. What if you don’t want to go through all that? What if you want to get straight to who’s competing for the championship? That’s what the new Playoffs option in MyLeague is for. It’ll take you past the extra stuff and straight to where you want to be: the battle for all the glory. Don’t think for a second that you’re the only one out there in need of basic NBA 2K17 tips. Millions play each year’s title, but a number of them don’t have any recent experiences with the basketball simulation at all. They don’t play basketball in real-life regularly, but do know enough about the game to be interested. Maybe they just don’t have the time to invest in the game that others do every night. Visual Concepts has a treat for beginners. It’s called 2KU. Featuring the likeness and voice of Team USA Basketball coach Mike Kryzewski. Kryzewski’s in-game character focuses on teaching players the fundamentals. We’re talking the finer points of a good offense, and defensive pressure. We’re talking about pulling off great plays and passing when it’s important. If you find yourself lost, take advantage of 2KU. More NBA 2K17 news and tips we will post here in U4nba.com, you can keep eyes close in our site. 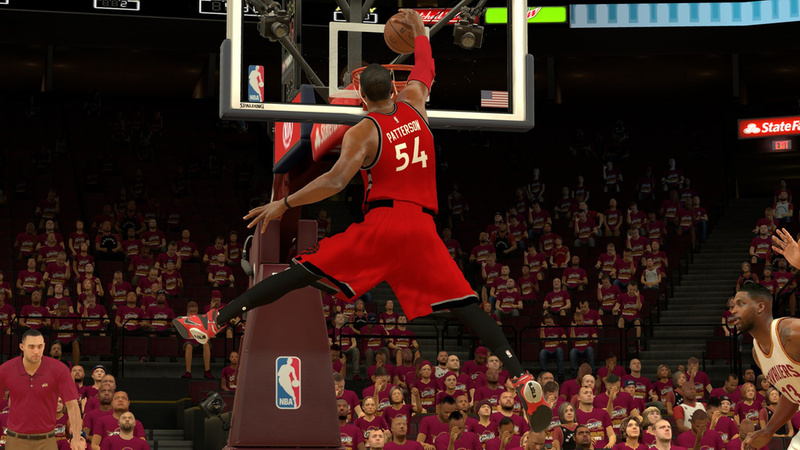 Furthermore, if you want to buy NBA 2K17 MT VC, visit our site www.u4nba.com enjoying best service!